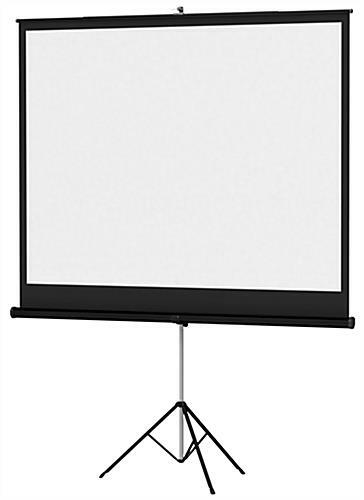 This tripod projection screen is the affordable option for those looking to buy a portable video screening accessory. 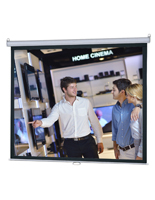 Since the unit is free standing, you have the convenience of placing it anywhere, as opposed to permanent wall installation. 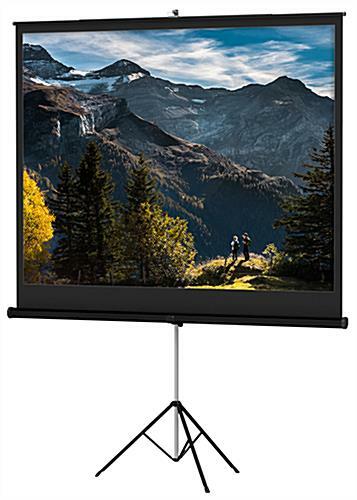 The tripod projection screen comes with a retractable metal cassette that protects the screen from damage. 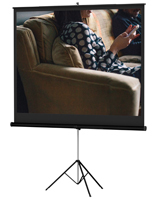 With a pull on the handle, extract the screen and hook it onto the rear support pole. 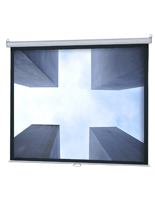 An added feature is the stands's ability to correct the keystone effect by tilting. 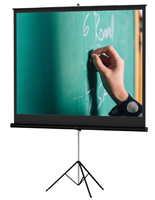 This helps to achieve a square image from the projector. 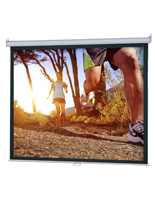 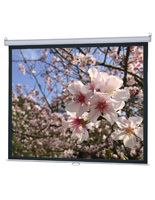 Our tripod projection screen is an excellent choice for schools or businesses on a budget.